At HogSnot Lubricants we care about your racing machine. We know that you need greater levels of protection at higher loads, higher RPM's and at higher temperatures. We've formulated our motor oil just for you. Increased film strength, anti wear and anti friction additives, dispersants, and detergents all formulated to protect and preserve. Power is created by releasing energy and is increased by speeding the release of that energy. HogSnot is formulated to maximize the transfer of energy to power in your car. 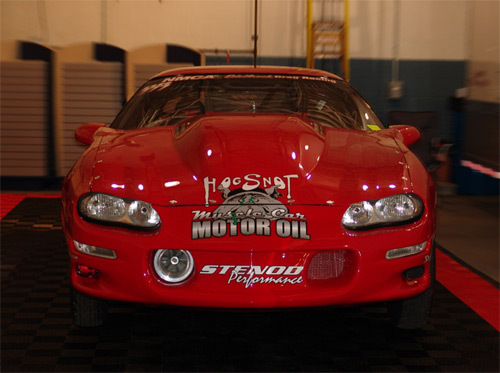 HogSnot Muscle Car performance oils are blended for the maximum protection and longevity of your racing engine. HogSnot's anti wear, anti friction and anti foamers are formulated for racing and not for today's passenger cars. HogSnot is not recommended for emission systems. HogSnot is perfect for flat tappet engines.